The IELTS speaking test can often seem like the most difficult 14 minutes of a students’ life. But, you can definitely maximise your chance of achieving a high score if you can master good test-technique. After examining hundreds of students, these are my top 5 IELTS speaking tips. Test day is obviously stressful for every IELTS candidate, but it is also pretty difficult for speaking examiner too. They might see 12 or more students in a day, with very little time in between each one to rest and recover. And, in every test, they don’t just have to accurately assess the student’s language, but they also have to deliver a test that is valid. What do I mean by valid? Well, I mean that every test the examiner gives must follow the strict rules that IELTS has created to make sure that every test-taker has the same experience. If the examiner breaks one of these rules, your test is not valid and is, therefore, cannot be accepted as a true representation of your language. There are rules about how long each part of the test can last. There are rules about making sure the pen and paper you use for Part 2 don’t leave the exam room. There are rules about when the recording starts. There are even rules about what the examiner can say in each part of the test. And it is this last one that is important – your test starts BEFORE you enter the test room when the examiner hits record on the dictaphone. From that point forward, everything you and the examiner say is recorded to make sure that your exam is delivered fairly. And so, from that point forward, your examiner must follow the IELTS script. When you enter the test room, it is a GREAT idea to smile and say hello and sit down in your chair to wait for the test to begin 😇. However, it is not a good idea to ask the examiner how they are or comment on the weather or mention that you are nervous – they can’t answer! And, if the examiner is anything like me, that makes them feel awkward!!! Remember, the examiner’s job is to make sure that your test is valid, so all they need you to do is enter the room, sit down and wait for the test to begin. Also, once the examiner has recorded the official information (the date, your name, their name, the test centre details) and sits down to check your passport, they say hello and ask you for your full name. This is not part of the test- it is just part of the identity check! Don’t bother replying to the “Good afternoon” part or telling the examiner about your nickname! They can’t answer you and it just makes life difficult for everyone. Just sit smiling until the examiner says “In this first part, I’d like to as you some questions about yourself” – from that point forth, you can speak, speak, speak, but until that point, just do your best to look quietly intelligent!!! Also, when the test finishes, say thank you, goodbye and then leave. It’s natural to make a comment like “That was quick” or “Really?”, but please do not ask the examiner how you did and if you “passed” – again, they cannot tell you and it just makes everybody feel awkward. Smile, leave the room and collapse in a heap in the corner of the room next-door to recover! 🗣️3. Don’t count your sentences! The point is that both of these answers are fine because they are natural. Sitting and counting your sentences is only going to put unnecessary stress on your brain, which is already working at capacity! If you want to know more about how long your responses should be in Part One, I write about it in detail in this previous blog post. 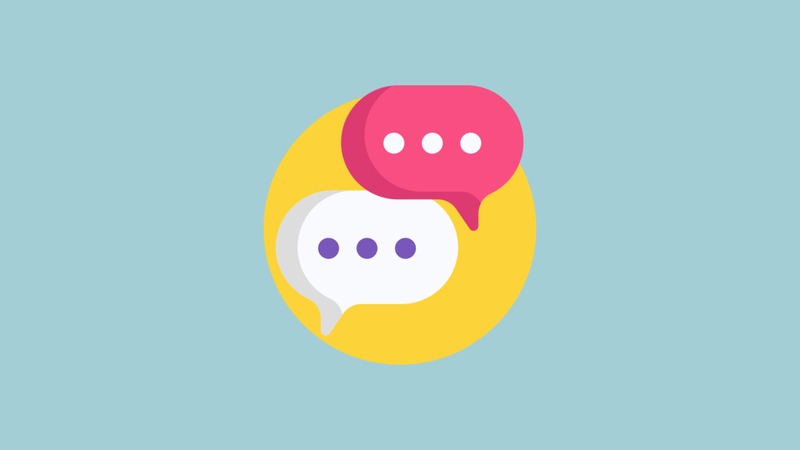 Speaking Part Two frightens many students and I can understand why – it’s not often that we speak for two minutes about a topic with NO verbal feedback from the person we are speaking to. Think about it. Imagine that you were telling your best friend about a time you thought a person you knew had lied to you, and your friend just sat there nodding but never showed ANY interest by saying the occasional “Really?” or “No!” or “What did you do then?”. I often think it is a good idea to practice Part Two with your pet – that way you will know what it feels like to speak continually with no feedback! 🐰 However, I have found that most students do better with Task 2 if they IGNORE THE BULLETS. What? Am I serious? YES! There is no penalty for not including the bullets in your response to your cue card and, in my experience, students who base their answer on the bullets spend too much time looking down at them and pausing to remember which “bullet” comes next. My advice is to focus on the main topic. If the examiner asks you to “Describe a person you know who is intelligent” then focus simply on doing this. If you don’t have ideas in the 1-minute preparation, then you can look to the bullets for inspiration, but don’t use these as the “backbone” of your talk as it probably won’t fit your description but will probably distract you. In my classrooms, I never give the bullets to students until very late in the course – I find that they perform much better without them, so why don’t you try this next time you practice. So, we arrive at my final tip, and this is an important one. IELTS Speaking Part Three is the part of the test where the examiner makes their final decision about your score. It is also the most academic part of the test, because it is here that we move from talking about YOU to talking about the world in GENERAL. And this means that you want to avoid talking about yourself as much as possible. No, let me be clear, it is ALWAYS better to talk in general (“Most people find noise a big distraction”), but in an emergency, this is a great tactic! In Part 2, ignore the bullets and focus on communicating about the main topic for as long as you can. Finally, in Part 3, you never want to give a personal example, but if you do have to, then try to make it global by showing how your experience is the same as the general experience.